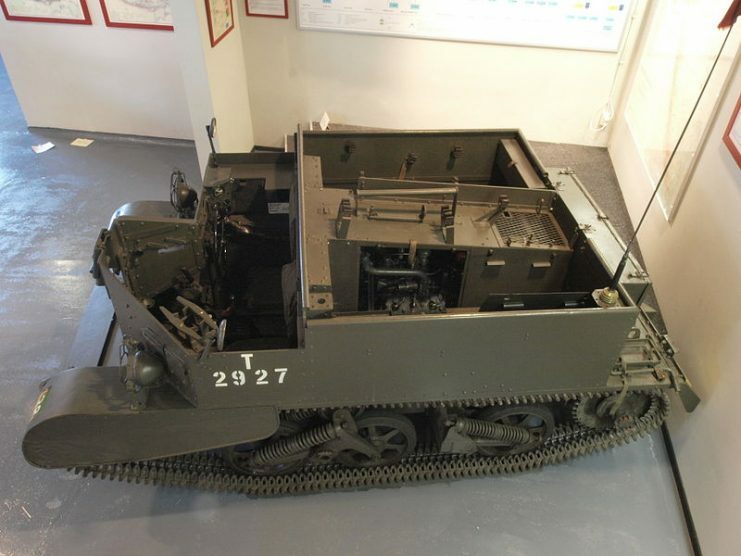 The Universal Carrier, first produced in the 1930s, adopted a specific nickname during the first years of WWII: the Bren Carrier. 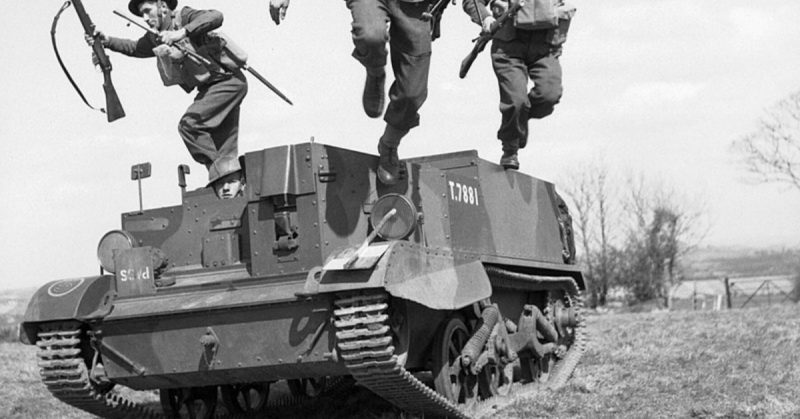 This was due to the vehicle’s armament which was a single Bren light machine gun. 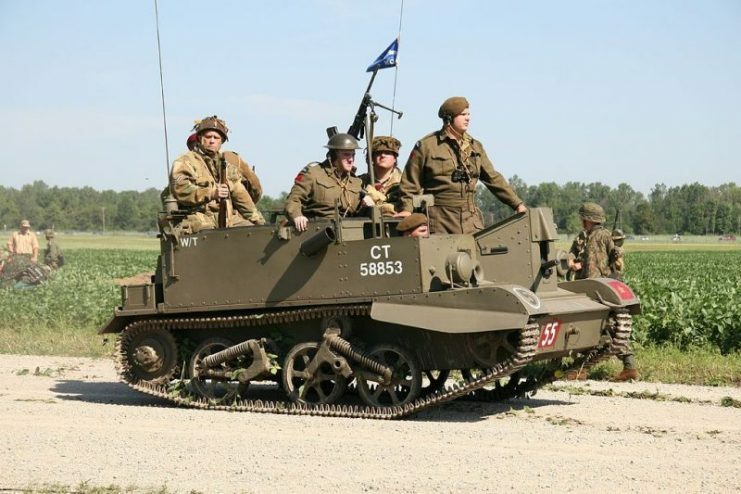 Initially designed as an armored transport with a role in reconnaissance, this iconic WWII tracked vehicle was intended to carry into the midst of battle a crew of three or four, depending on the variant. 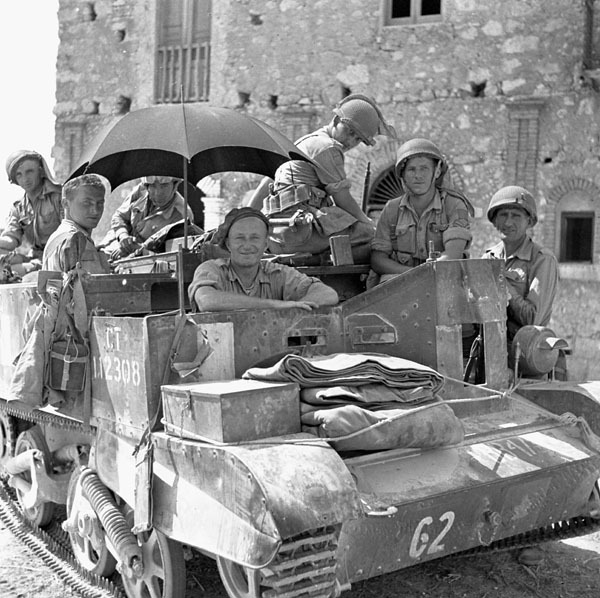 Later on, the Bren Carrier proved much more valuable as a support vehicle than as mere battle transport. 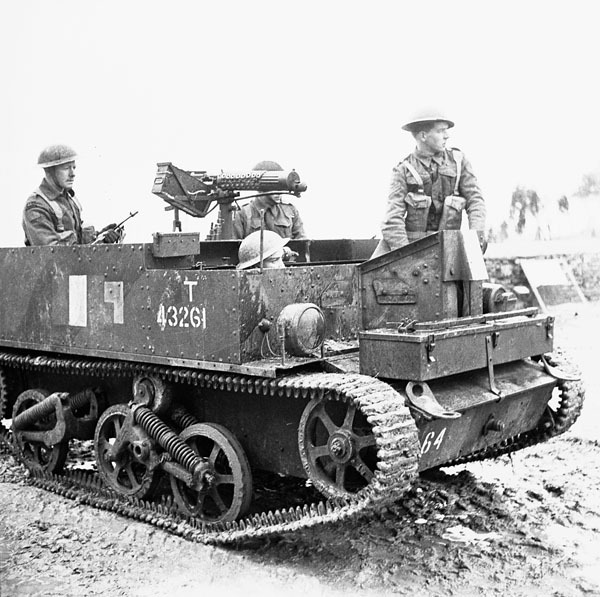 It boasted the Bren gun as its main firepower, but it also sported Universal Carriers armed with Boys and PIAT Anti-Tank guns as well as 2-inch mortars. 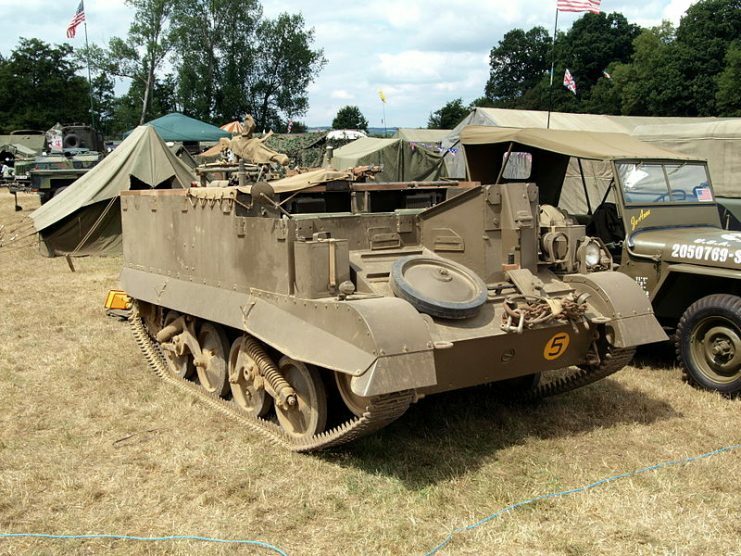 The vehicle was exported to all Commonwealth armies and the Soviet Union via the Lend and Lease program. It participated in combat all over the world. 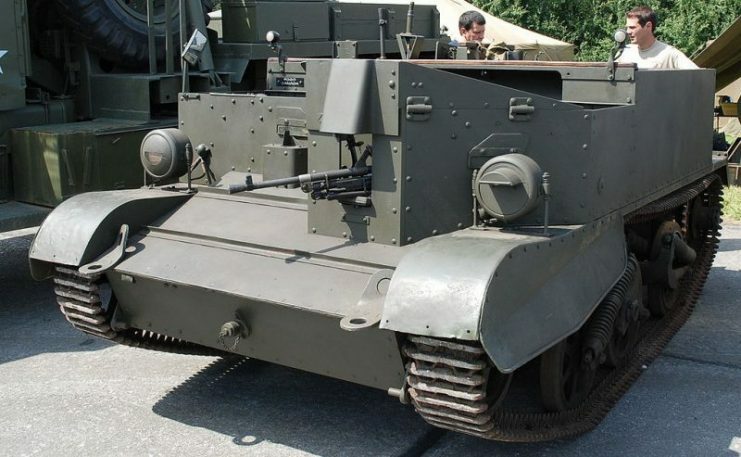 However, since a great number of them were seized by the Germans during the Battle of France in 1940, the Bren Carrier found extensive use among Wehrmacht forces as well. The engine was in the center of the vehicle with the final drive at the rear. 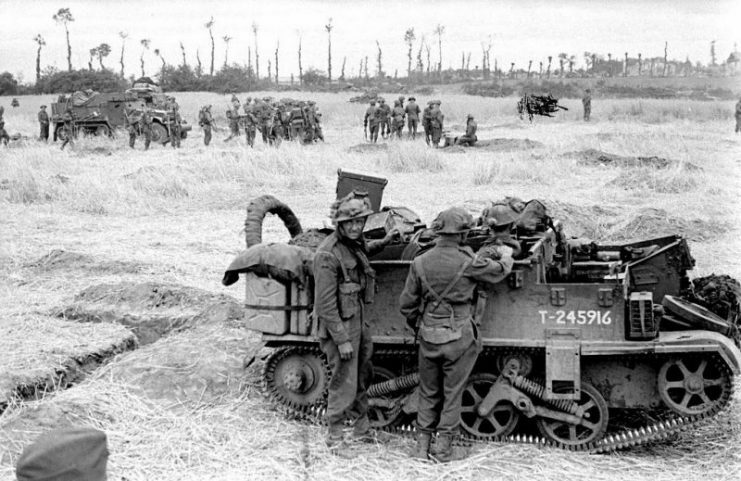 The capture and subsequent service of these Bren Carriers was part of the “Beutepanzer” (Captured Tank) practice. 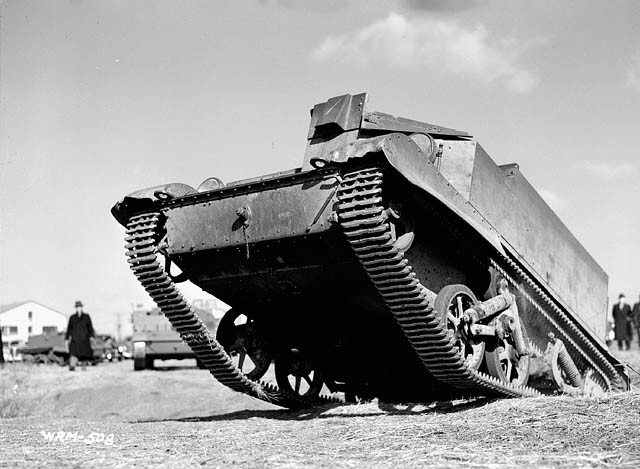 The Germans captured tanks not only to study the enemy design but also to reinforce their ranks. Their conquests enabled them to loot much enemy equipment. 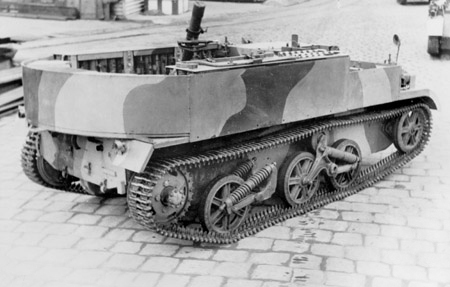 Beutepanzers were mostly used for training, police duties, or to reinforce flanks. They were also often exported to other Axis countries, such as Romania and Bulgaria. 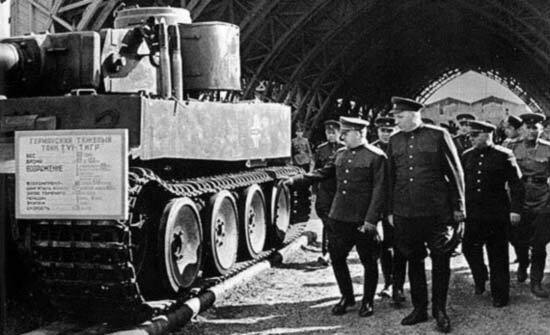 A Soviet Captured Tiger 1 heavy tank. 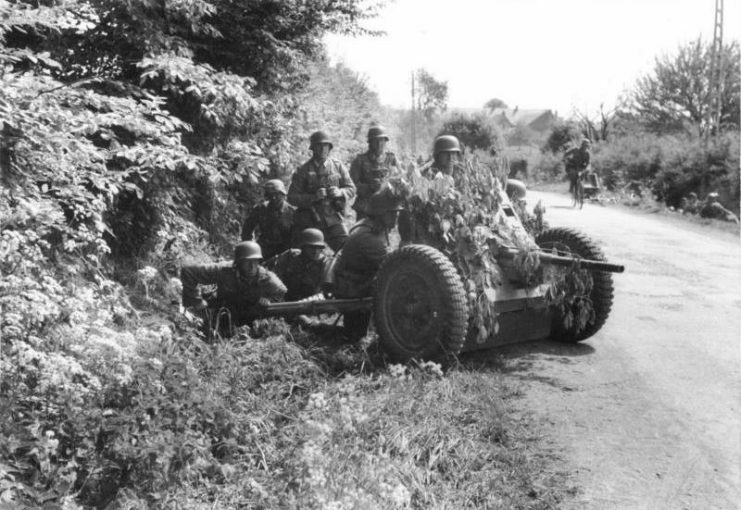 In the case of captured Bren Carriers, the Germans were keen to experiment with adding more firepower. 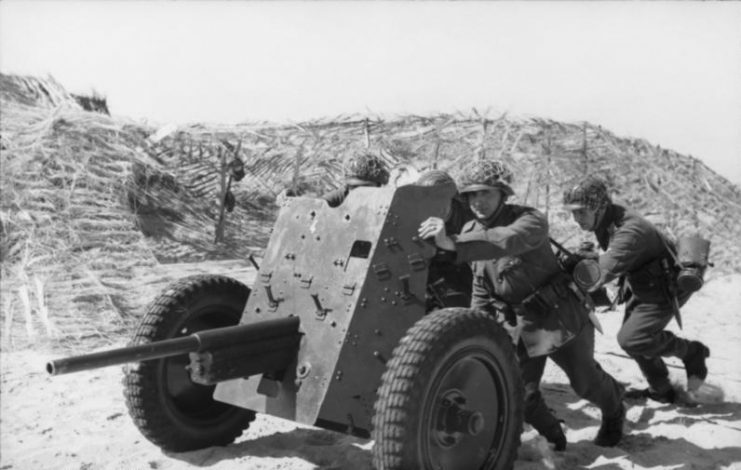 In the first version, they added a 3.7 cm PaK 36 anti-tank gun, aka the “German door knocker.” Unfortunately, it proved ineffective. The gun shield offered very little protection against small arms fire, not to mention that the gun itself quickly became outdated. 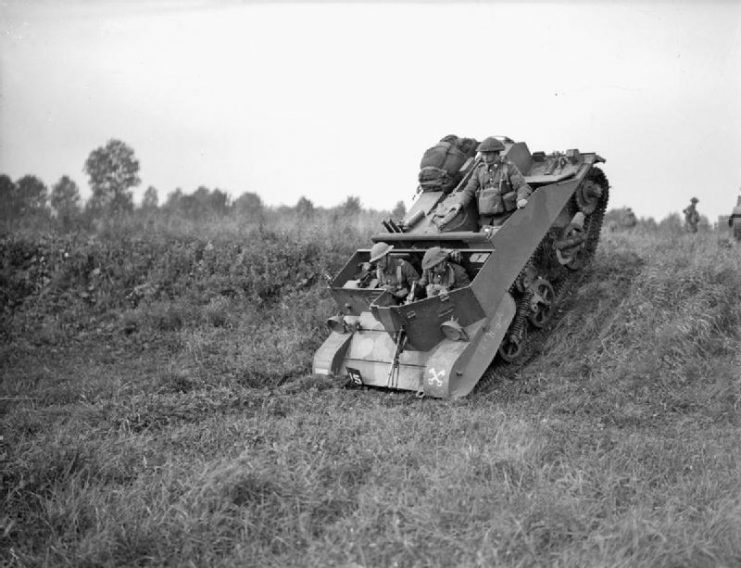 Later, they made adjustments to improve the Universal Carrier, focusing on the anti-tank role of the vehicle given it was small, lightweight, and had a good turn of speed. 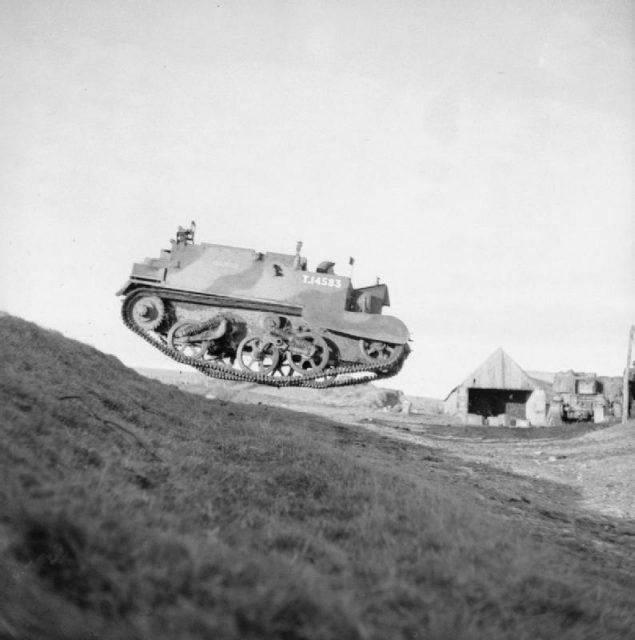 Other installments of the Universal Carrier as a tank destroyer went a step further. 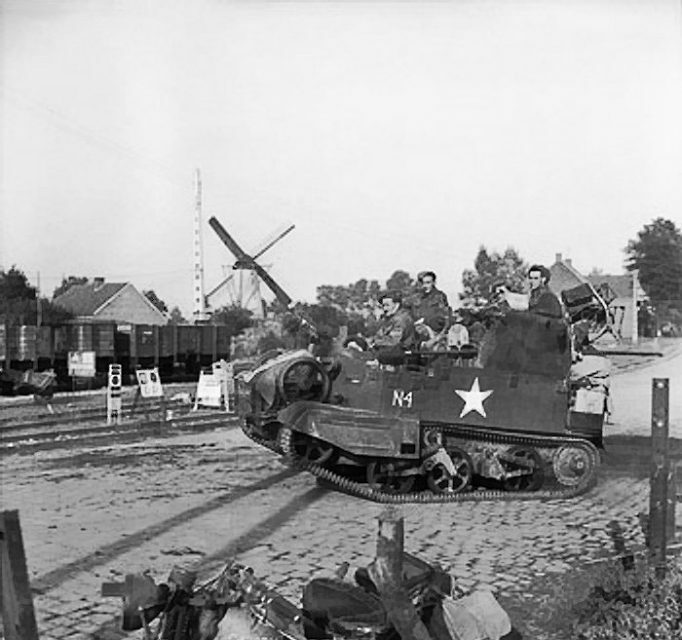 As well as providing more cover for the crew, the vehicles were fitted with a number of captured British 2pdr Mk.IX, French 25mm SA-L Mle, and Austrian 47mm AT guns, which had been seized from the Dutch. 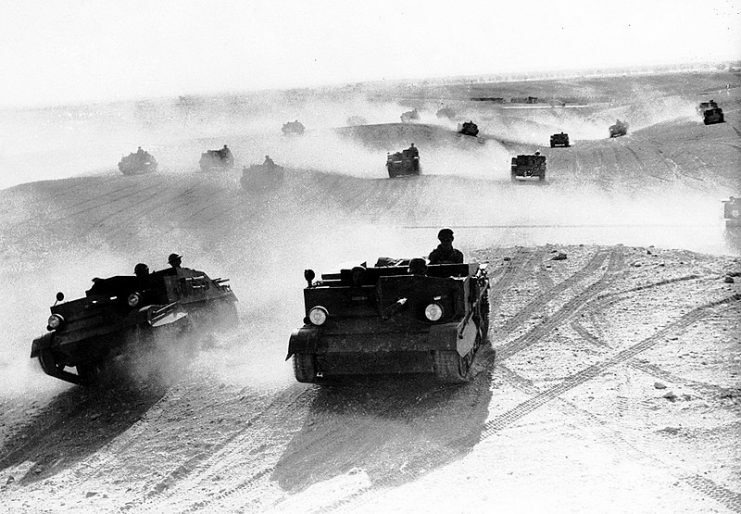 Although these versions proved to be more effective, they were still mainly used for training and patrol purposes in the rear. 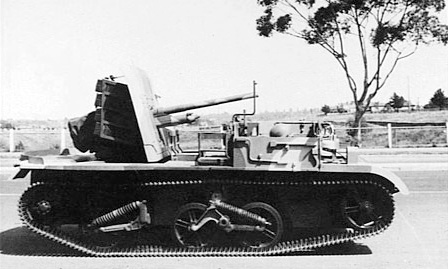 Bren Carrier No.2. 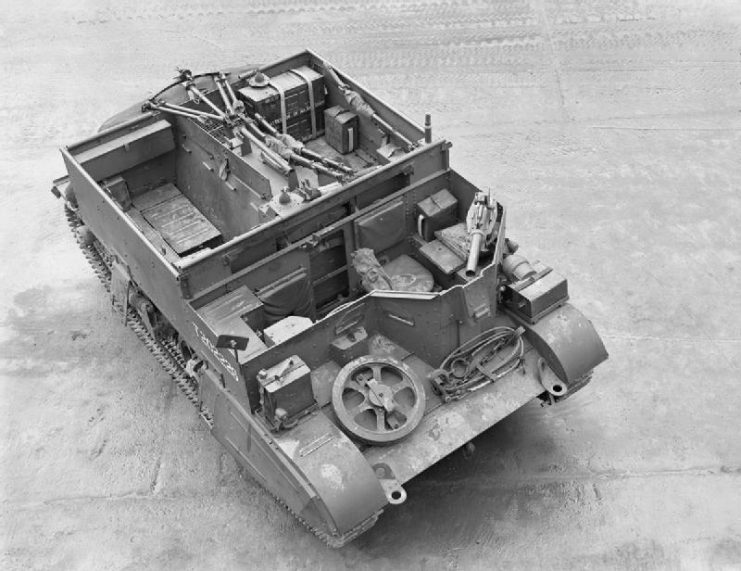 Note a single rear compartment for one soldier with a sloping rear plate. 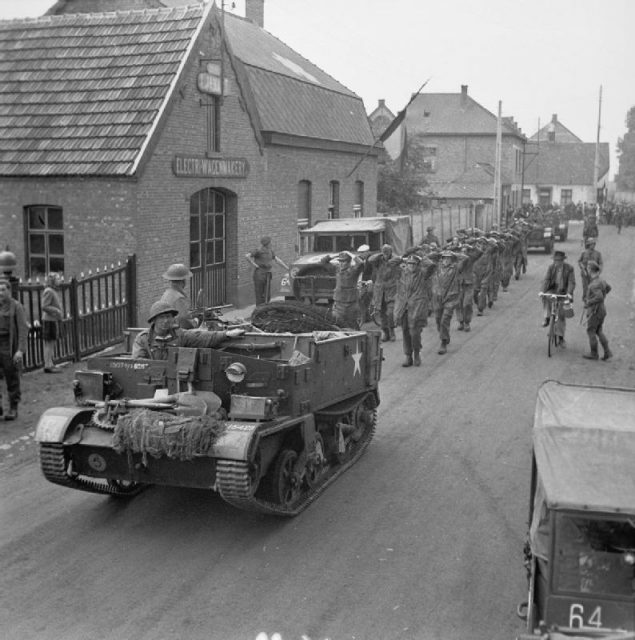 A British Army Universal Carrier leads some German prisoners-of-war into a European town.